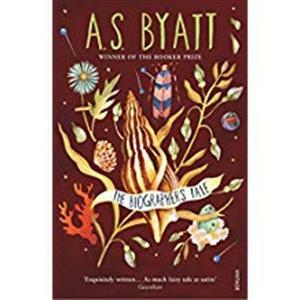 In this witty, Borges-like fiction, A. S. Byatt weaves a dazzling fiction out of one man's search for fact. Fed up with stultifying criticism, Phineas G decides to study the messiness of 'real life'. Doing nothing by halves, he sets out to write a biography of a great biographer. But a 'whole life' is hard to find. How do we put the idea of a person together? Everywhere he looks, he finds fragments and gaps: bones and husks, oxes of marbles, collections of coins and undated postcards. Trails run cold and mysteries are unresolved. Phineas feels he is hunting shadows Like a shaman flying across the globe, his mind tracks the journeys of his subjects to the deserts of Africa and the maelstroms of the Arctic, where the shapes of myth meet the patterns of science. He meets others building wholes from bits and pieces: taxonomists, ecologists to trave; agents offering the trip of your dreams. In the process, he also puzzles out his own future - but which woman will guide him out of the labyrinth? Picked this up at the Knights Templar meet up. I will add to this journal after I have read it. Leaving this on the bookcase in the restaurant.